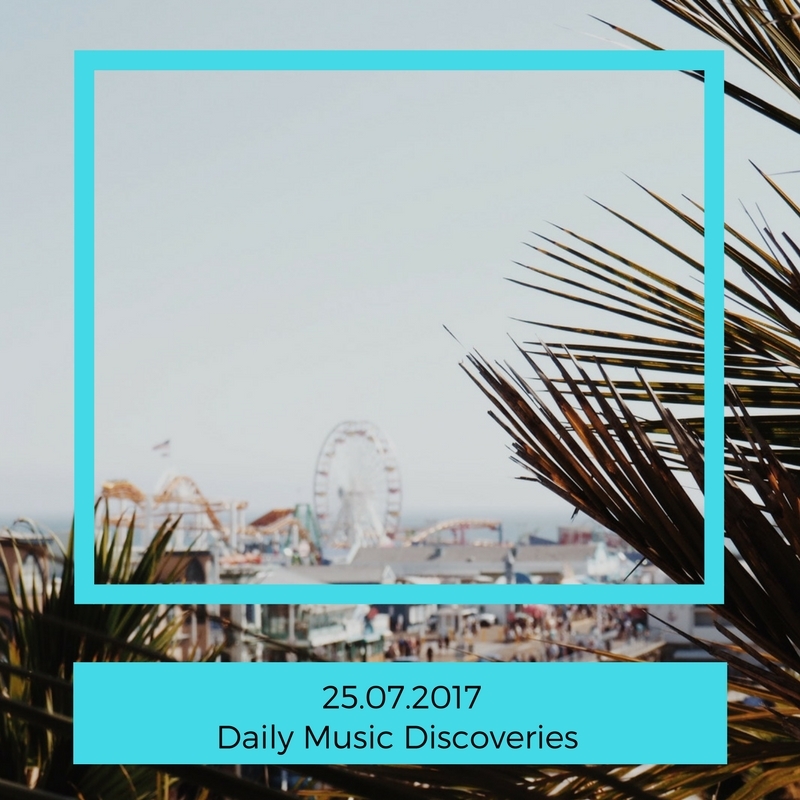 Daily Music Discoveries 25.07.2017 | Give it a spin! giveitaspin for Ted Taforo, Samuel Orson, Bluebirds, Weinf and The Warp/The Weft. Ted Taforo just released his latest single, Who Will. If you go through the lyrics you can really dig in the greater social picture stated within. The track begins with a catchy synth progression, followed by a thick bass patch and continues to unfold a truthful bubbly rhythm. It really shines for me after the third chorus with an immaculate sax solo. Pure radio friendly to my ears, I’m just fantasizing Moloko in the background. Could have been a great duet in another world. Pop memorability with jazzy influences bringing on those quirky Ariel Pink and Har Mar Superstar vibes! I’ll be waiting for a unique Ted Talk in the near future, this musical artistry has a special place in the independent music making of the future-retrobeat era. General Feelings of Optimism by Samuel Orson Samuel Orson is an artist I truly respect just from listening to I Can’t Wait taken off his latest album General Feelings of Optimism. He is an experimental New Age artist from Seattle and you can actually also find this song on the 120 Days of Music project in which he composed, arranged, performed, recorded, mixed and uploaded an original track every day for 120 days. It reminds me of the unwritten oath I’ve taken to blog about music each day for the past years or make a git commit while working every day (don’t laugh), really it’s not that easy to keep up with your personal goals when tiredness or life situations hit you during the months. I haven’t actually listened to the project yet, however, I’m getting a true blissful tone of the different approaches and feelings the music will unwind. If you love finger-styled guitar playing and enjoy Robbie Basho’s moves from another time-lapse… you’ll actually find some peace today on the porch with this fine listening. Ok and another video I fell upon that created an extra smile dimple on my face. I’m getting into the Orson (awesome) vibes! What drew me instantly to the Subcultural Love of Edinburgh’s four-piece Bluebirds are the influences that range from the brilliance of Nick Cave to the unorthodox, brutally honest Bukowski mindset jiggling through the lyrics. Rattling bones on the faith line.. and it’s wet and dark, it’s punk love songs and it’s kicking more alive than ever! A brilliant debut of volume over intensity…. Poughkeepsie-based hard chamber rock quartet The Warp/The Weft just released “Briars” off their forthcoming album Mapping an Absence out 7/29/17 via Admirable Traits Records. They are active since 2012 in and beyond New York’s Hudson River Valley. You can find more about them here. The track is beautiful and mesmerizing, just like watching a flower starting to unfurl, setting your ships to sail into the myths of the modern day in an avant-garde way. 2017 Daily Music Discoveries dmd Weinf Bluebirds Samuel Orson Ted Taforo The Warp/The Weft.